It comes equipped with an 8MP rear camera with LED flash, while there is a 5MP front facing snapper onboard. Other features of Aura Note Play also include Bluetooth, GPS, FM Radio and G/P/L Sensors, OTG support and Finger touch sensor to keep the device safe. Karbonn launches Aura Note Play smartphone for the Indian market. The device comes integrated with Vistoso, an app that uses artistic filters. This feature allows users create a piece of art out of the pictures that they click as each image is analyzed. 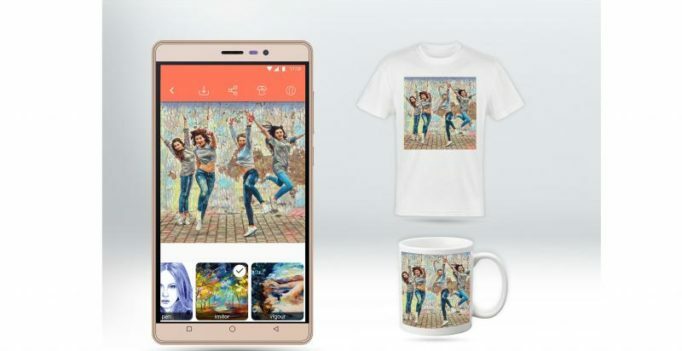 It also allows users to print their artwork on merchandise like mugs, t-shirts, collage etc. The device is powered by Android 7.0 Nougat and is 4G VoLTE enabled sporting a screen size of 6-inch HD IPS full lamination display. It is powered by a 1.3 GHz quad-core processor with 2 GB RAM, 16 GB ROM and a dual SIM option. Users also get an option of memory expansion up to 32GB using a microSD card. The smartphone will be available in two colours- Black and Champagne and is priced at Rs 7,590. Rajinikanth to replace SRK as Malacca’s ambassador? Aishwarya Rai Bachchan to sign up for reality TV show? Check out: Preity Zinta's wedding pictures are out and she looks gorgeous!